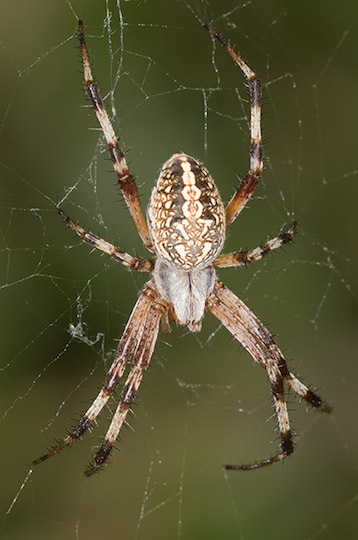 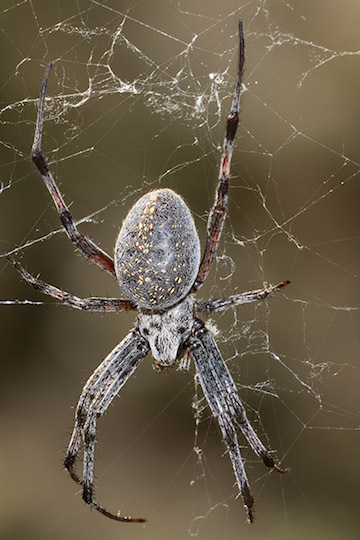 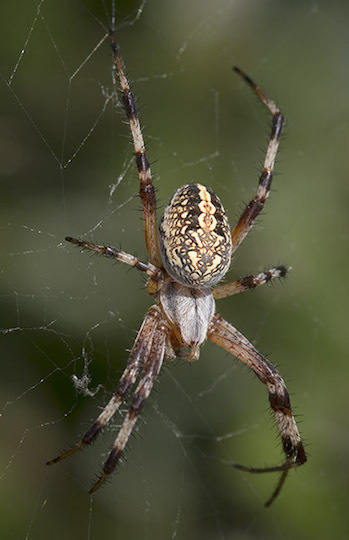 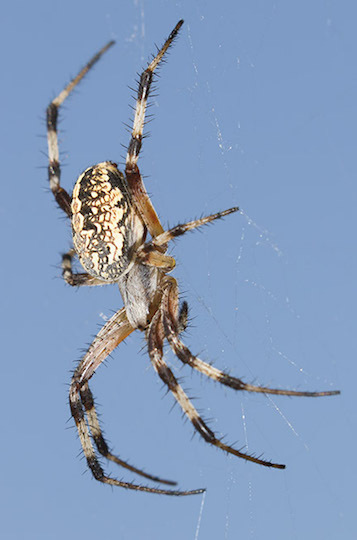 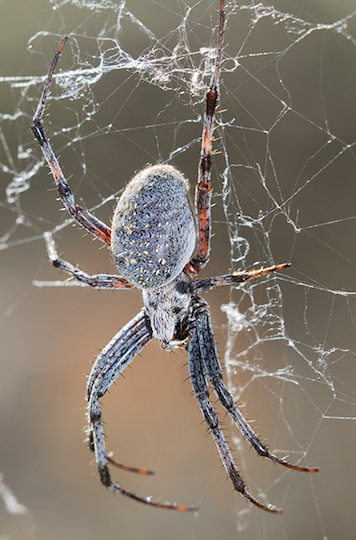 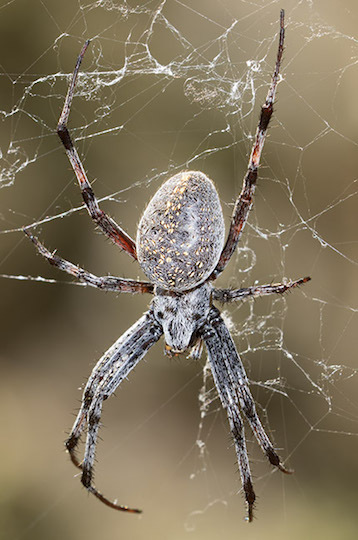 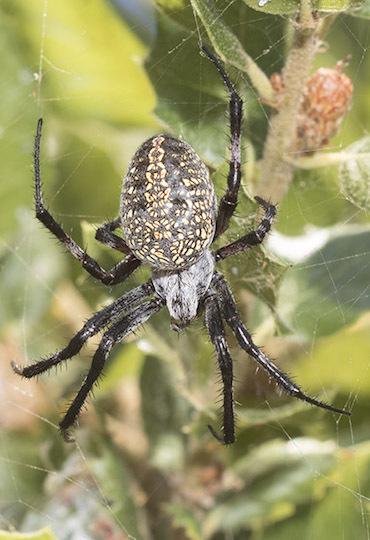 These elegantly-patterned orb-weaving spiders are probably Neoscona oaxacensis, the western spotted orb weaver. 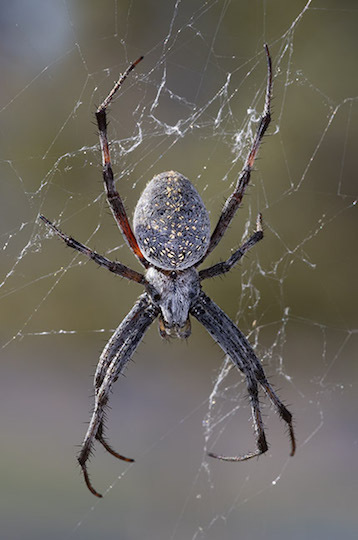 One was photographed in mid-summer at the San Jacinto Wildlife Area near Riverside, California. 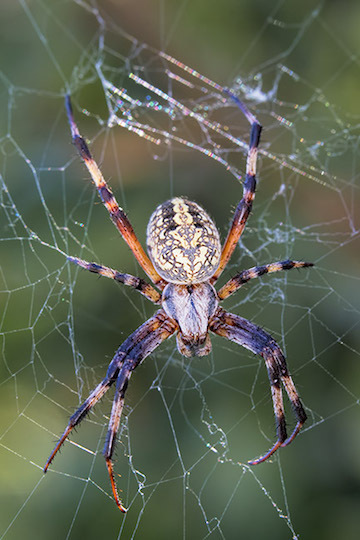 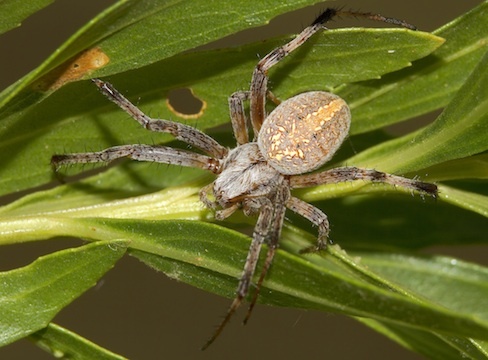 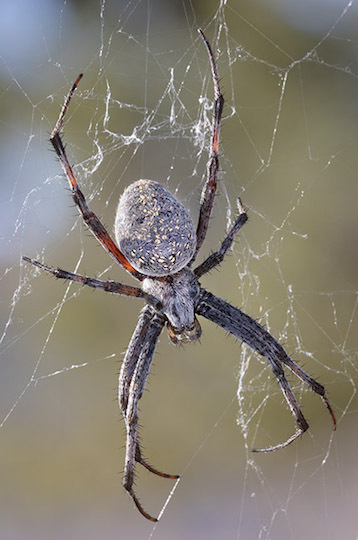 A friend found a group of these large, attractive spiders living semi-colonially in some oak trees in a parking lot near Riverside.